It has been a blockbuster year for ONE Championship. The Home Of Martial Arts had 24 action-packed events, signed several world-class martial artists, and introduced ONE Super Series, Rich Franklin’s ONE Warrior Series, and the ONE Women’s Strawweight World Championship. As 2018 continues to wind down, we reflect on four of the best events the promotion held over the past year. This past November, at the Mall Of Asia Arena in Manila, Philippines, yet another Team Lakay athlete claimed a World Title. Eduard “Landslide” Folayang sealed a dominant unanimous decision victory to reclaim the ONE Lightweight World Championship in the night’s co-main event. The 34-year-old landed hard spinning back fists, heavy elbows, and brilliant takedowns to leave his Singaporean foe, Amir Khan, without a chance to counter. If that was not feisty enough, then Brandon “The Truth” Vera’s return might have delighted your soul. The ONE Heavyweight World Champion only needed 64 seconds to KO challenger Mauro “The Hammer” Cerilli. In January, ONE: GLOBAL SUPERHEROES entertained fans with a high volume of stoppage victories. As a matter of fact, nine of the evening’s 11 bouts ended via submission or TKO. The main card started off where the thrilling prelims left, with Brazil’s Bruno Pucci succumbing to Emilio Urrutia via TKO in the opening round, while Japan’s Hayato Suzuki submitted Yago Bryan via his trademark rear-naked in the first stanza. The night, of course, would be best remembered for Geje Eustaquio’s rematch victory against former ONE Flyweight World Champion Kairat Akhmetov for the interim title. “Gravity” stifled his opponent for five whole rounds to seal the victory. In June, he became the undisputed ONE Flyweight World Champion by defeating another old rival, Brazil’s Adriano Moraes, in a rematch, too. Reigning ONE Middleweight World Champion Aung La N Sang captured his second belt after sending his foe, Brazil’s Alexandre Machado, to the cage fence with an unstoppable head kick. “The Burmese Python” followed up with rapid-fire punches before referee Olivier Coste put a stop to the bout, giving the Myanmar sports icon the victory and the vacant ONE Light Heavyweight World Title. Thousands of cheering fans at the Thuwunna Indoor Stadium also witnessed another national hero get a knockout win as Yangon-born Phoe “Bushido” Thaw knocked out Cambodia’s Sor Sey in less than two minutes. 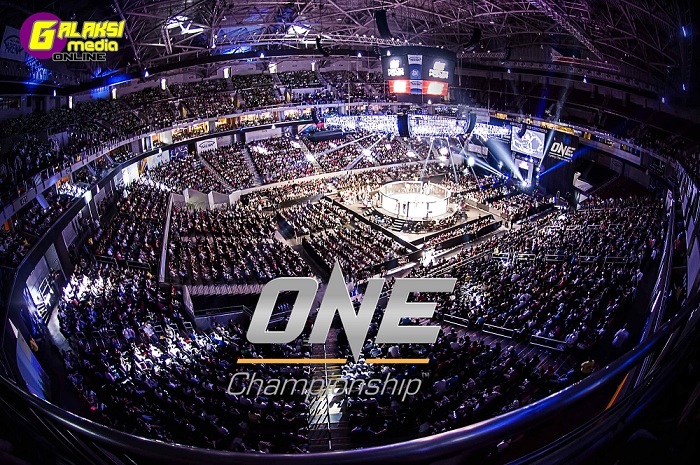 The list could not be complete without the main talking point from ONE Championship in 2018 – the ONE Super Series. ONE: DESTINY OF CHAMPIONS in Kuala Lumpur on 7 December saw, for the very first time, a ONE Super Series Muay Thai featherweight bout serve as the main event. Thai legend Yodsanklai IWE Fairtex delivered the most impressive knockout victory of the year, as he fired three uppercuts to stop, and drop, Australia’s Luis Regis. Also, the event saw local mixed martial arts darling Jihin “Shadowcat” Radzuan defeat former ONE World Title challenger Jenny “Lady GoGo” Huang, while Malaysia was gifted with a new ONE Super Series star in Mohammed “Jordan Boy” Bin Mahmoud. Expect another surreal year with ONE Championship in 2019!